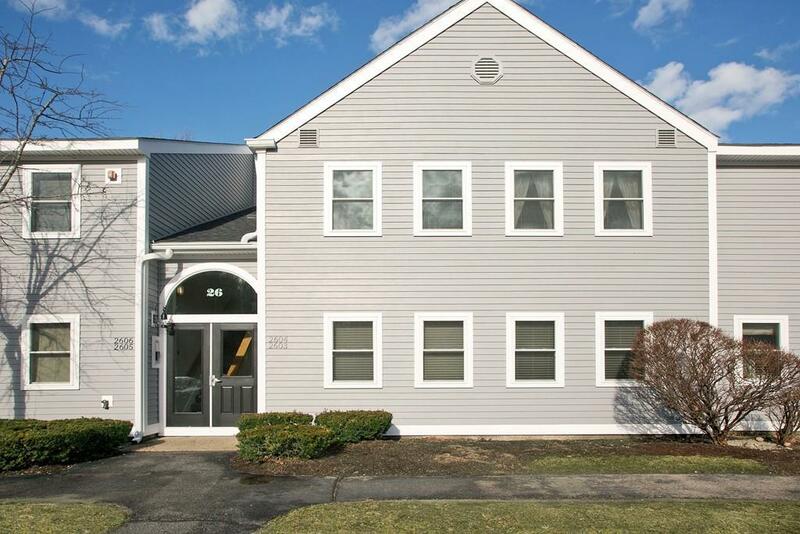 Desirable FIRST FLOOR Hingham Woods condominium. Investors take note: excellent rental history! Downsizers and first time home buyers will also appreciate this two bedroom, two bath garden style unit. Reintroduced to the market with entire interior painted, updated baths, and new master bedroom carpet! Enjoy the newness of Hingham Woods' renovation project offering all new exteriors including siding, roofing, trim, windows and doors! Newly decorated clubhouse, workout room, pool and tennis court further enhance this delightful complex. Close to all Hingham amenities such as Commuter Rail, South Shore Country Club, Hingham Square and Harbor, Shipyard for Commuter Boat, dining and entertainment.